Thomas Fulton Cauble E3 (01 September 1846 Tyler County, Texas-11 February 1940 McLennan County, Texas, of senile exhaustion following hip fracture; buried Bell Cemetery, Hill County, Texas), a son of Sarah E. Green and Isaac Butler Cauble, was a farmer and a Confederate veteran of the Civil War. On 17 January 1873, Thomas Fulton Cauble married Mary Ann Matthews (October 1852 Texas-17 April 1933 probably in Hill County, Texas)in McLennan County. The couple had nine children, seven of whom were living on 06 May 1910. 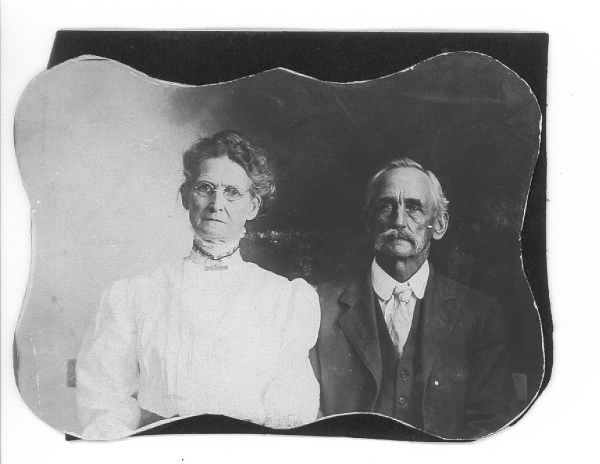 Mary Matthews and Thomas Fulton Cauble lived out their lives in McLennan and Hill counties of Texas. Note that Mary Ann was buried without a headstone, but there was a death certificate. Martha said the death certificate stated she was buried in Bell [or Vaughn, the earlier name] Cemetery.